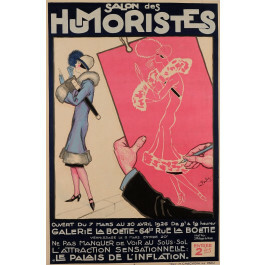 A rare and delightful image created by Georges Pavis (1866-1977) for the 1926 Salon des Humoristes in Paris. 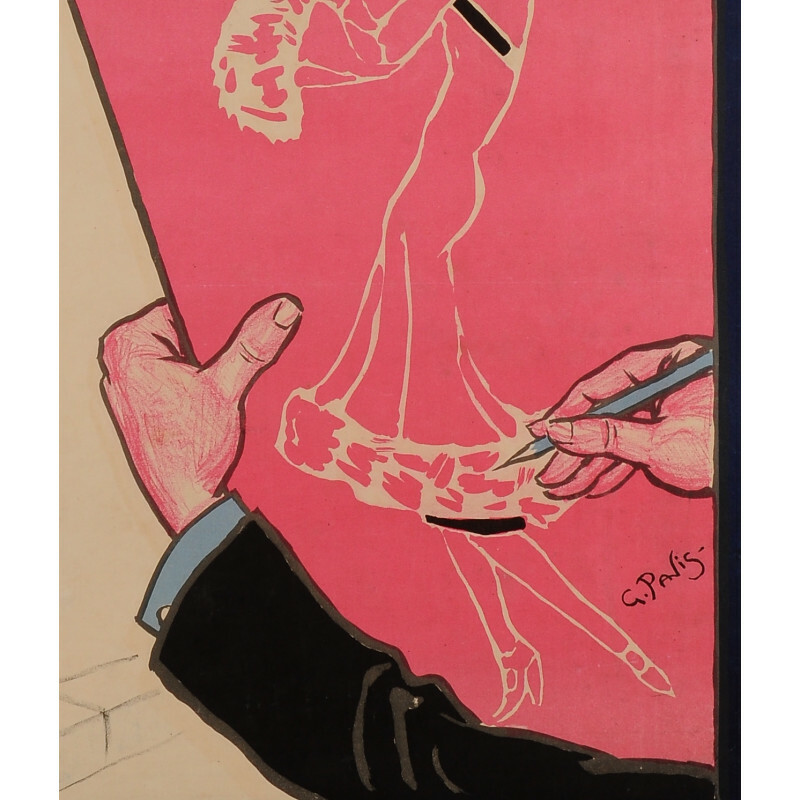 An eagerly anticipated Parisian event, this exhibition of humorous paintings, drawings and illustrations took place every spring from 1907 on at the Gallery La Boétie. Each year a different member of the society was selected to create the poster announcing the show. A rare and delightful image created by Georges Pavis (1866-1977) for the 1926 Salon des Humoristes in Paris. An eagerly anticipated Parisian event, this exhibition of humorous paintings, drawings and illustrations took place every spring from 1907 on at the Gallery La Boetie. Each year a different member of the society was selected to create the poster announcing the show.